How to Convert Your Overweight Dog into a Healthy Pet? Isn’t it already painful to deal with our own slab of fat? In this increasing obesity among people, our Fido seems to feel left out and have transformed themselves into an overweight dog. But is it their fault? I mean who can resist their loving eyes? No one can! And as a result we treat them so often that they gain an unhealthy weight. How will you conclude whether you have an overweight dog? When you look down at your dog, what is it that you see? A perfectly toned waist, or a flab of fat? If your eyes can detect the fat then you know what you need to do. But, if you are not sure, run your hand over your dog. If you can feel his ribcage through a thin layer of fat and flesh, he is absolutely fit. No ribcage? He is definitely overweight. It’s high time now to start taking all the needed measures to make your dog fit as a fiddle. It would be a proud moment when she will turn into a curvy and healthy dog! Isn’t it right? What actions will turn your plumpy pooch into a fit one? Want your overweight dog to be healthy as soon as possible? First you need to visit a vet on this issue. It is possible that your dog has become overweight due to Hypothyrodism. Even if your vet says that it doesn’t seem to be that, be a good pet parent and go for a blood test. If the reports show no signs of Hypothyrodism, it’s time for your dog to start dieting and enter the fitness regime. 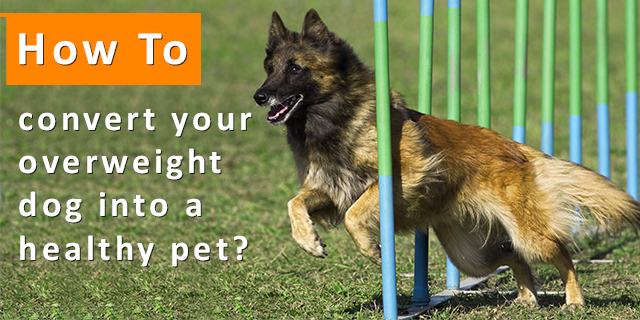 Weigh your pet at vet’s clinic before starting the fitness drill. It is very difficult, or say impossible to avoid your pet’s drooling eyes. Isn’t it? But remember? You have to cut her diet to make her fit. So, be strong and do not treat your dog untimely and unnecessarily. Vet suggests that you should cut your dog’s diet to 1/4th of the present diet. Along with that, it is very necessary for a dog to shed the unused weight. The decreased rate of metabolism due to her lethargic behavior may be the prime reason of being overweight. 20 minutes walk two times a day can shed the unwanted fat. If your dog is a swimmer, go with swimming with her and let the enjoyment burn off her calories. Swimming is the best calorie burner anyways. After following these measures, re-weigh your dog. If you can notice any change in her weight, continue with the measures. If not, cut the current meal again into its 1/4th part. This should make a difference then. Who will be the wall between an overweight dog and her fitness regime? Most importantly, the dog herself can block the training. Let her whine for food, beg for it; you be strong and do not melt with her tantrums. Health should be your priority. Second is untimely treats. Do not treat your dogs now and then. When you are being strict, it may happen that she will convince other family members to treat her. Warn all your family members and make this fitness regime a family venture. Aid her with appropriate supplements which are necessary for maintaining her health. Avoid the “health” tagged market dog food. 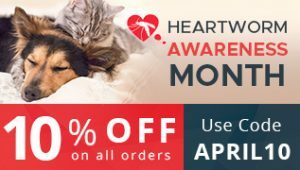 They are the most unhealthy ones for your beloved pet.